Whether you are coming to a South Florida Hotel for vacation or to catch a cruise that departs from either the Port Everglades, or the Port of Miami. 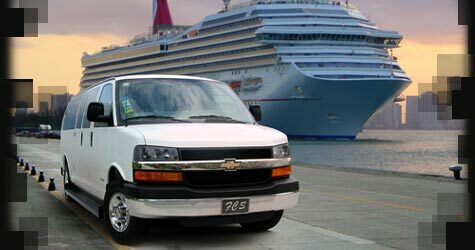 Family Car Services Vans are the perfect solution to move large families and their luggage safely from Airports to Cruise Ships, or Hotels. You may also reserve our 28 and 33 passenger mid size buses, or our 55 passenger full size bus for larger groups. FCS also provides 24 hour car services to any local, private, docks and marinas in the Miami area. If you are arriving into Fort Lauderdale International Airport, Palm Beach International Airport, or the Miami International Airport and require transportation to the Port Everglades located in Ft. Lauderdale, we have the right vehicle for cruise ship transportation needs. All domestic flight arrivals with inside meet and greet are FREE with most reservations! Vehicles such as SUV limos, busses and some vans are to large to be parked and can only perform curbside pick ups. If you require an inside meet and greeter in addition to a driver with any of the these larger vehicles, additional fees will be determined. All international flight arrivals with inside meet and greets require a $15.00 dollars customs fee. Your driver will always track your arriving flight number if and when trackable. All Domestic flight arrivals with inside meet & greet are given 45 min. FREE wait time the moment the plan lands, until your luggage is loaded into the vehicle. The US Customs fee covers the driver and vehicles additional wait time when a inside meet & greet is requested on arriving international flights. All seaport pick ups require a 15.00 customs fee. Cruise ships do not usually disembarked till one hour after the vessel has docked. This US Customs fee covers the driver and vehicle wait time as you proceed through the customs process. There is no guarantee as to how long it will take to clear customs. This process usually takes 45 min to hour, but can take longer for larger parties. For complete information on any additional costs of services, such as Tolls, Parking, Extra Stops, or Wait Time please click here. For your safety and best experience always use properly licensed, insured operators and drivers when selecting a transportation service. Both Sea & Airports are highly well known places for illegal gypsy operators to illegally stage and solicit transportation services. If you are relying on a travel agent, hotel concierge, valet, or porter to arrange for your family's transportation, make sure they are calling on a legal operator. 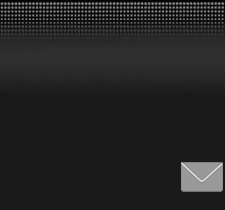 You may find more information about choosing a limo service here. Listed below are a some other transportation services that may be closely related to airport car services. 24 hour private car service for FT. Lauderdale Intl. Airport, Miami Intl. Airport, and Palm Beach Intl. Airport. Also providing transportation services to all local, private, executive, and commuter airports in the South Florida area. Click here for details. See transportation services for Fort. Lauderdale, Palm Beach, and Miami areas . © 2007 Sea Air Limo Service Inc. Last updated:December 11, 2008. Designed by JET Studios Inc.